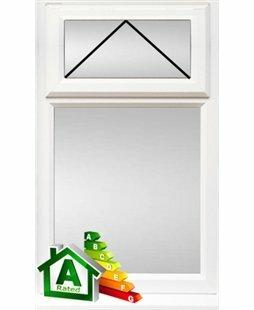 The attractive 28mm uPVC panel has also been stabilsed, protecting it against discolouration. As with all uPVC, this door is virtually maintenance free. All our glass units are toughened and double glazed to keep your house warmer and safer. Comes complete with a lever/lever handle configuration and is available in Black, White, Gold and Chrome. These finishes are available on both sides of your door, or just the outside with white inside. If your door has not come with one of these key rings, please get in touch and we will be happy to send you one. 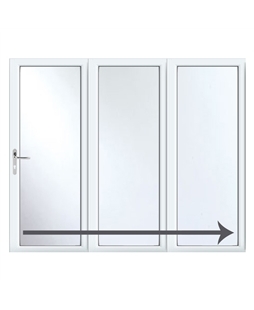 Have used Value Doors three times now and I am very impressed with the quality, service and cost of the products. Matt Ridgway was great. Very polite, friendly, knowledgeable and importantly it didn't feel like he was trying to upsell to us - just giving us honest advise. I have received great service. From initial online inquiry answered quickly followed by the installer meeting me as mutually convenient soon afterwards. He gave good sound advice with clear experience in this field. Paul communicated well providing a fast quote and easily booked for the fitting. He turned up as arranged and on completion, the entrance to my flat was transformed. Thank you for a great comprehensive service with clear pricing and great advice. Thank you also to Paul Sloan who made the whole process straightforward with clear communication and keeping to arrangements as planned. Excellent service from the call centre when I made my first enquiry and this was continued with excellent service from Paul who came out to measure up and quote. Paul has been helpful and knowledgeable and able to advise me, answering all the numerous questions I had, without ever being pushy or making me feel forced to order. He has fitted two doors for me so far and I am extremely happy with them. In fact, I have now ordered a new front door and will be ordering patio doors in the spring. Very straight forward and pleasant efficient fitter. Magic was very professional right from the day he came to give the quote to the day of the installation. He did his work efficiently and cleaned up as well. We are glad we got our shed doors fixed. Great looking door. First-class installation by a really nice fitter. Would not hesitate to recommend to friends and family. Very pleased so far. The installer was polite and pleasant, explained everything very well both to my daughter at the house and to myself on the phone. The door and installation looks very good. Loved the website, so well laid out with no pesky salesmen trying to baffle you with science and then giving you a ridiculous estimate for the privilege. Very happy with the service from start to finish, great communication and pleased with the door fitted. Neil fitted the door very well and very quick, we are very pleased with the outcome. The installer has done a very nice job, he turned up on time. I am very happy with the work. Overall good service and product. With Richard being an ex- Royal Marine, and me being ex-Navy - no problems!! Excellent from first placing my order to the installation. Work was carried out to very high standard, very pleasant fitter, quick and efficient. Arrived on time and Simon offered excellent work. I was very impressed with your installer -Mr Wade, very professional and VERY hardworking, completing the work to a very high standard and cleaning up after himself. I will be having him back in the new year to do some more work on my property. Door fitted very promptly and well pleased with product. Many Thanks. 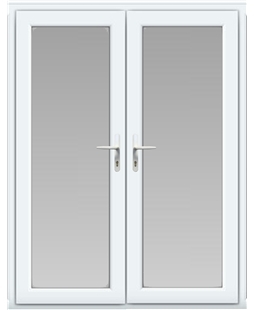 Following our internet search we decided to choose Value Doors South Manchester for 2 reasons. First, the reviews were good and second, no job was too small. We were directed to Rob for advice regarding installation. Rob was very professional in all aspects of his work. He was punctual and proceeded with his work on arrival. He assessed and executed his work exactly as we all discussed-therefore no hidden extras or confusion! His workmanship was neat and thorough. A very pleasant and likeable manner made this a most enjoyable visit. Thank you Rob. Used your firm before and was very pleased with the work carried out. 3rd visit in 2 mths absolute brilliant would highly recommend. Very pleased with the service. Stuart Barrance,the fitter, made the effort to fit the job in and have it completed before the weekend! And he's done a great job - thank you! The ordering process was very straightforward and the follow-up from the installer vis-à-vis measuring and fitting was excellent. Gentleman who fitted my door , Glenn Reeves, was presentable, polite, efficient tidy & arrived on time. Fitted door well and left everything clean and tidy afterwards. Wish all tradesmen were the same. Would use your company again in a flash if I ever need any more doors & will recommend you happily. Sorry it took so long to review. Should have got around to it a year ago!!! Great service, very happy with my door, Matt was very pleasant, polite and tidy. Found the local installer very helpful when seeking advice prior to deciding the type of installation I wanted. Turned up on time and completed the work in pleasant manner. A tidy workman. The team was very good. More than happy with first telephone contact and prompt visit to measure up. Installer contacted to change installation date because of severe weather forecast and attended promptly on agreed alternative date. Site cleaned well on completion. Initial comment is that job has been completed well. Andy was extremely helpful, his knowledge was brilliant. Excellent efficient and friendly service. 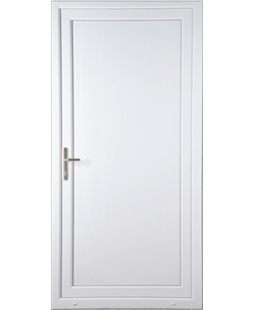 Door is well fitted with good attention to tidy finish around the door. Very happy to recommend this company. Neil arrived punctually on both visits and was very helpful. He was friendly & approachable and left everything clean & tidy - a good job well done! Very good installer from Blandford (Bernard) clean and and thorough. Thank you for the good work you do and also by doing everything it makes life easy (the door and the fitting) that's why I chose Value Doors, keep up the good work. Martin was really friendly and reliable. I'm thinking of doing a shed window as well. Value Doors staff were very helpful from the first initial contact, right up to the fitting which was done in a clean, efficient manner. Already recommended to friends when they need any doors etc. Makes a nice, pleasant change to deal with such friendly staff. Absolutely faultless service from enquiry to installation. Very pleased with price of job, quality of product and workmanship. I have been really pleased with the service offered. The website explained what was on offer and I was reassured that the price quoted is the price I would pay. It was easy to arrange a visit and the franchisee, Paul, turned up at the time arranged. He also turned up on the appointment day and got on with the job swiftly and with no fuss. I was so pleased with everything and when I need any more work done I would not use anyone else. I would definitely pass this on to my friends and family. Excellent service and quality product and fitting. The price was significantly cheaper than others so I was a little concerned about quality etc; I needn't have been. I am delighted with the door and the fitters were polite and cleaned up thoroughly. I will recommend to all and sundry! Greg was great to deal with. He is prompt and efficient without letting the work suffer. Everything looks great and required no effort on our part. The whole process from start to finish was seamless. I am very happy with the service. I found it to be an excellent service all around and would use yourselves again and/or recommend you to people I know if they were looking for a new door. The installer also seems like a very nice guy! I am very pleased with the door installation and glad I chose Value Doors. Would use them again if we need any further work. Bernard, the installer, was clearly competent and friendly. I saw a good level of detail and care applied during the fitting. I would recommend you to anyone who asks for help in selecting a similar service. Bernard, your installer, was very good, polite, worked well and finished the job to a high standard. Very pleased with the prompt service and quality of work provided. Good on price and delivery.